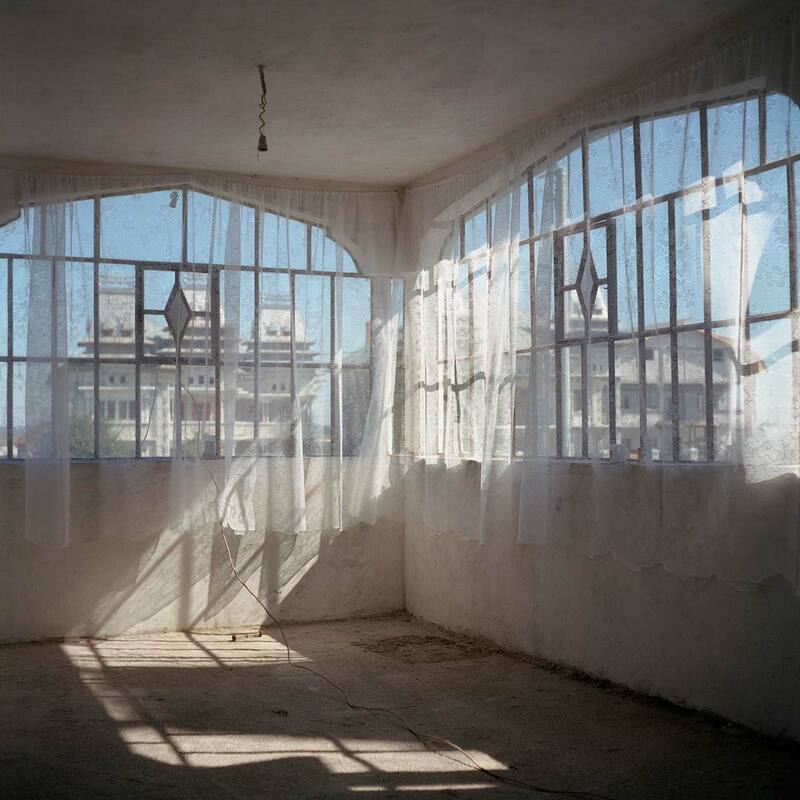 A uncompleted room in one of the 100 or so new houses built along the road through Sintesti village. The Roma of Sintesti have built these houses with the profits of scrap metal dealing. The net curtains in this houses prevent neighbours from seeing that the house is as yet unfinished inside.